I’m delighted to introduce you to my mother-in-law! Judy is a very smart lady, and she raised a really awesome man that I was fortunate enough to marry. I wrote a recent post on teaching kids (and myself!) to save and value money, and it struck a chord with Judy. So here is her response. I hope she writes a follow-up on helping your kids plan a budget! My daughter-in-law, Krista Swan, recently asked how to teach young children to save money. This is a subject that I have thought long and hard about. I believe that good money management is one of the most important lessons we can teach our children and learning to save is the place to begin. Break the cycle of instant gratification • Lead by example and save the money before you buy something. Let your child know that you would really like to have that new computer (substitute your own want here) and then show them that you have to save the money before you buy it. Help your child save for something he/she really wants • Choosing the right goal may be a bit tricky. Start slow and set the bar low enough that your child won’t get too discouraged before it is reached. Provide a means to earn money • You may want to give your child an allowance which can depend on him/her doing some chores around the house. Paying for additional chores will help promote a good work ethic and allow your child to reach the goal more quickly. If you choose to do this, resist the temptation to grossly overpay your child. It could distort the value of work. Birthday and holiday gifts can help the money add up quickly and allow the child to make larger purchases. 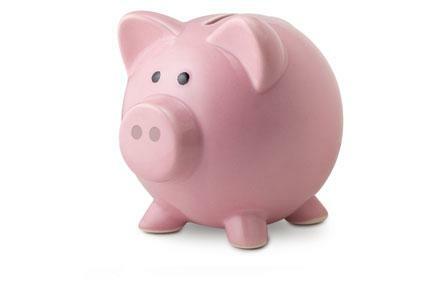 Count the savings regularly • Encourage your child to count their savings and plan for reaching the goal. Watching the money add up gives encouragement and they learn to count money. Let your child make the purchase • The big day is finally here – make this a huge event! Take your child to the store and let them pay for the item by themselves. They are going to make mistakes but resist the urge to step in when they decide to blow their savings on something that you consider worthless, money they save should be theirs to spend as they choose – within reason. This is the easy stuff – the real fun begins when your child is old enough to learn about budgeting! This post made me think about the way my parents raised me. I remember the VERY first purchase I saved up for…a teddy bear with jean overalls:) I liked hearing a money-saving perspective from a grandmom’s view! Judy, I just love this! Thanks so much for writing a guest post. I sincerely hope you will submit more! That’s what we’re talking about.